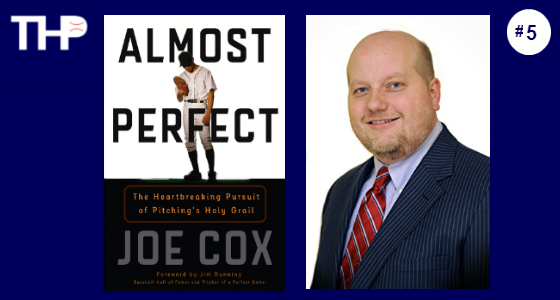 Joe Cox writes about 16 pitchers who lost a perfect game with one out to go in Almost Perfect: The Heartbreaking Pursuit of Pitching’s Holy Grail. We talk with him about the three Tigers and one former Tiger who suffered this fate. Wilcox is definitely a guy who has a second wind in his career. … He had a good year in ’83, with the near-perfect game, and then of course in ’84 he’s a big part of the World Series championship team in Detroit. But it’s a brief run for Wilcox, he had a lot of arm problems. … He probably knows in ’83 and ’84 that the harder he works his arm, the shorter his career is going to be.